For fans of Miranda James and Jenn McKinlay, the third conspiratorially delightful third entry in Victoria Gilbert�s critically acclaimed Blue Ridge Library mysteries. Spring has sprung in quaint Taylorsford, Virginia, and the mayor has revived the town�s long-defunct May Day celebration to boost tourism. As part of the festivities, library director Amy Webber is helping to organize a research project and presentation by a local folklore expert. All seems well at first�but spring takes on a sudden chill when a university student inexplicably vanishes during a bonfire. The local police cast a wide net to find the missing woman, but in a shocking turn of events, Amy�s swoon-worthy neighbor Richard Muir becomes a person of interest in the case. Not only is Richard the woman�s dance instructor, he also doesn�t have an alibi for the night the student vanished�or at least not one he�ll divulge, even to Amy. When the missing student is finally discovered lost in the mountains, with no memory of recent events�and a dead body lying nearby�an already disturbing mystery takes on a sinister new hue. 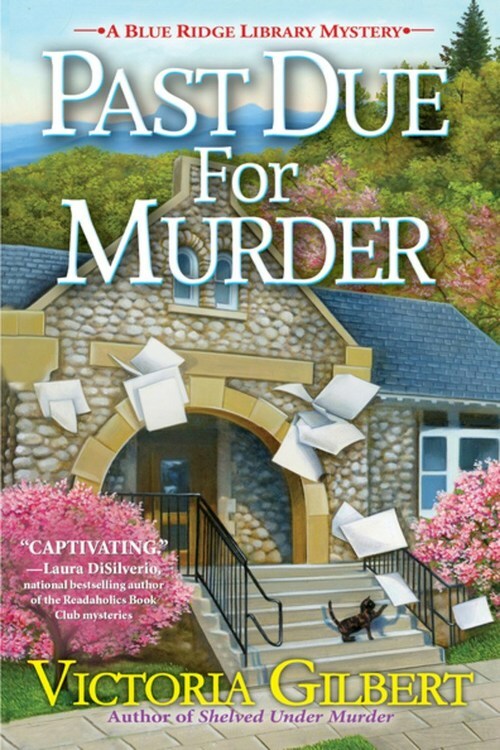 Blessed with her innate curiosity and a librarian�s gift for research, Amy may be the only one who can learn the truth in Past Due for Murder, Victoria Gilbert�s third charming Blue Ridge Library mystery.